boys had trashed Hackney and Kilburn back to back. try by Tim McNaughton. Slade duly converted, 0- 21 for H&F. After a pep talk by Will Finn on structure and the breakdown issues, H&F added some fresh legs. 5min Chad Buchner powered through Twickenham’s defence with the help of few hammers 17-28. Twickenham, through some quick phase play. 23-28.
was being extremely difficult and un-sportsmanlike as he did not allow more than 3 subs. Twickenham regathered and continue to put pressure on H&F back 3 with another well placed kick. into touch and the whistle blew for full time. Final score 37-33.
did not play enough in the opposition 22. Exit will need to be worked on at training. MoM: Chad Buchner despite requesting repeatedly to be substituted during the second half. Tin Man: Max Dubois for losing his mental compass. 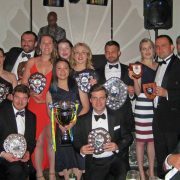 The HFRFC Dinner, Dance and Awards Night is approaching and it’s time to get your tickets! The event is on the 28th April at the Star & Garter in Putney. There are ONLY 100 tickets. 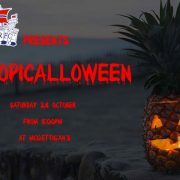 Tickets will be sold on a 1st come, 1st served basis. Early Bird Ticket £60 can be purchased until Friday 16 March 2018. Ticket Price from 17 March then be £65 until sold out. 2. Then please EMAIL : socialsecs17@gmail.com. Please add date and time of payment. Hammersmith and Fulham RFC are celebrating their 40th anniversary so make sure you don’t miss the first anniversary event of the season! 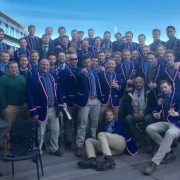 Old Hams and current players from both the men’s and ladies sides will be gathering for a lunch at The Rylston, before heading down to Hurlingham Park after lunch to watch the 1st XV take on old rivals Chiswick. 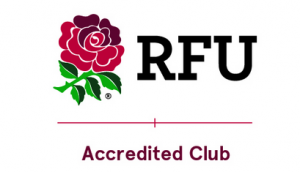 How to book: Email communications@fulhamrugby.co.uk with how many places you’d like. DATE: Easter weekend as always. Friday 30th March – Monday 2nd April. No holiday required. – Any remaining funds used for tour beers, funding prizes for winners of Tour Super 5’s etc. First come first served basis. 40 spots available and around 30 have already paid!